Sanskrit E-magazine Dīpaśikhā launched by Rev. Swami Suhitanandaji Maharaj, General Secretary, Ramakrishna Math and Ramakrishna Mission in the august presence of Sri E S L Narasimhan (Hon’ble Governor, Andhra Pradesh and Telengana), Prof. K E Devanathan, VC, Sri Venkateswara Vedic University, Tirupati and Rev. Swami Atmapriyanandaji, VC, RKMVU. Veda Vedanta Saptaha celebrated from 29 February to 5 March, 2016. A Three day National Seminar on Three Major Schools of Vedanta and Special Lectures on Chaturveda Bhasya by MM Krishnamurthy Shastri, Chennai and Prof. Samiran Chandra Chakraborty, RMIC, Golpark were arranged as a part of Veda Vedanta Saptaha. MM Krishnmurthy Shastri, MM Manidravida Shastri, Madras Sanskrit College, Professor AV Nagasampige, Director, Purnaprajna Sodha Sansthan and Dr.Umesh Nepal, Jagadguru Ramanandacharya Rajasthan Sanskrit University delivered excellent speeches on Advaita, Viśiṣṭādvaita & Dvaita respectively. Dr.Rakesh Das efficiently summarized the lectures in Bengali which was appreciated by the audience and the scholars alike. 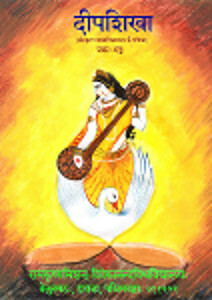 Lectures delivered on various minute topics of Advaita Vedanta by Prof. H V Nagaraja Rao (Pancadaśī), Brahmachari Divyachaitanya (Mahāvākye saṃsargaviśiṣṭavākyārthaḥ kathaṃ na), Dr. Venkataramana Bhat (Adhyāropāpavādau), Nagaraja Bhat (Śāṅkaravedānte Yogaśātrasyopayagaḥ), Sri Palash Ghorai (Suṣuptau Avidyā), Brahmachari Vedantachaitanya (tattvamasivākyārthavicāre pūrvācāryasaraṇiṃ prati kaścitpūrvapakṣaḥ). Prof. K E Devanathan, VC, Sri Venkateswara Vedic University, Tirupati inaugurated the Seminar with a lecture on (Śaṅkara-rāmānuja-bhāṣya-svārasyam). 17-21 Aug- Dr. H V Nagaraja Rao’s lectures on various topics of Sanskrit Literature. 5-23 Aug- Dr. Divyachetana Brahmachari’s lectures on Vyakarana and Nyaya.